A man has been arrested in Boston, hours after police shot dead a terror suspect in the city. David Wright was arrested late on Tuesday, June 2, after a raid at his home in Everett, Massachusetts. Earlier, Usaama Rahim, 26, was killed in a car park, while under surveillance by counter-terrorism officers. 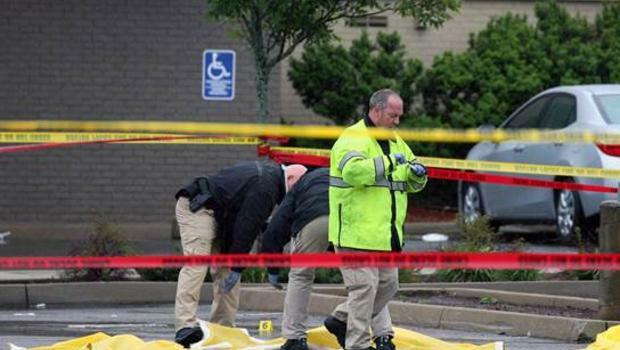 Two law enforcement officials told the Boston Globe newspaper the men had been plotting to behead police officers, but that has not been confirmed. Authorities also searched a home in Warwick, Rhode Island, but officials refused to say if it was linked to the Boston shooting. Police say Usaama Rahim attacked officers with a large knife after being approached by a Boston police officer and an FBI agent, in the residential Roslindale neighborhood. Usaama Rahim had been under 24-hour surveillance, and apparently had made threats against law enforcement. He had worked for CVS since March but previously was a security guard, for a time employed at the Islamic Society of Boston Cultural Center. Police and FBI officials would not comment on media reports linking Usaama Rahim to Islamic extremism, or whether he had been plotting an attack. Boston Police Commissioner William B. Evans described the man as a “known suspect wanted for some terrorist-related information”, but he said there was no warrant for his arrest. “He’s someone we were watching for quite a time… and so that level of alarm brought us to question him today,” William B. Evans said. Iman Ibrahim Rahim, a religious leader in San Francisco, had posted to his Facebook page saying his brother was shot in the back while waiting for a bus to bring him to his job, contradicting police reports. He said his brother was speaking on the phone with his father when he was shot. Officials say Usaama Rahim refused multiple orders to drop his weapon before charging at the officers. Police say witnesses and video confirm that the officers were retreating when they each fired shots at Usaama Rahim, who was wielding a “military style knife”. An investigation will be conducted by Boston Police and the FBI to determine if the shooting was justified.